Pimhill’s apricot, fig and seed organic muesli. No added wheat, nuts, sugar or salt. 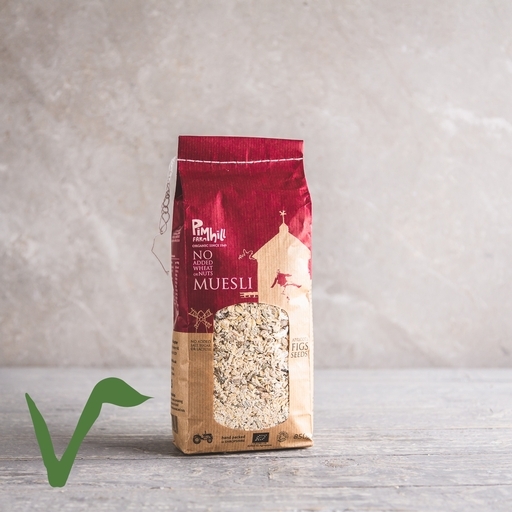 Bursting with oats, fruit, barley and rye, plus lots of apricots, juicy figs and crunchy seeds. A nutritious and tasty breakfast that’s ideal for multi-tasking mornings. Prepared in a kitchen where nuts and wheat are also handled.